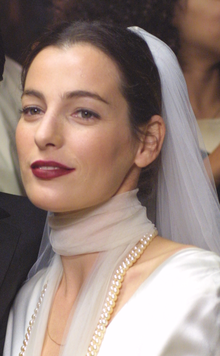 Ayelet Zurer (born 28 June 1969) is an Israeli actress. She is known for her roles in Angels & Demons, Fugitive Pieces, and in Man of Steel. Zurer was born on 28 June 1969 in Tel Aviv, Israel to a Jewish family. She has been married to Gilad Londovski since 2003. They had one child. ↑ Abramowitz, Rachel (3 April 2009). "Ayelet Zurer is an antihero for 'Angels & Demons'". Los Angeles Times. Retrieved 17 May 2009. This page was last changed on 5 January 2019, at 10:57.